The City of Martin requires all outside open fires to be permitted. The following are the rules and conditions of the permitting process. Permits are issued between the hours of 8:00 a.m. and 5:00 p.m., Monday through Saturday. No burn permits will be issued on Sunday. 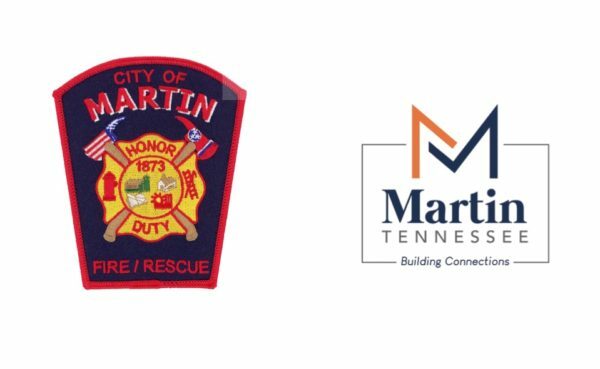 Permits can be requested by calling The City of Martin Fire Department Buster Williams Headquarters Station at (731) 587-4919. A person shall not kindle or maintain or authorize to be kindled or maintained any open fire unless approved and conducted in accordance with the conditions listed below. The fire official may limit the size of the burn pile or deny the permit based upon local conditions including the proximity of neighbors and structures. Any outdoor fire or outdoor smoke producing process from which air contaminates are emitted directly into the outdoor atmosphere. Open fires include burning in barrels or modified barrels. Burning tires, fuel oil, or similar materials that cause visible emissions to ignite or to sustain an open fire. Burning construction debris, garbage, refuse, or rubbish including paper and cardboard. Burning of stumps or roots that are still in the ground or caked with dirt. Burning an open fire that will be offensive or objectionable due to smoke or odor emissions, or burning during any stage of an air pollution episode. Burning an open fire when the Tennessee Department of Forestry or the City of Martin announces a period of high fire danger or when local circumstances make such fires hazardous. Notification is to be made to the Martin Fire Department before starting and upon completion of the permitted burn. This can be done by calling 731-587-4919. The location for an open fire shall be no less than 50 feet from any structure (more where required by the fire official) and provisions shall be made to prevent the fire from spreading to within 50 feet of any structure. The open fire shall be constantly attended until the fire is extinguished. The open fire shall not be allowed to smolder and shall be completely extinguished when finished. A minimum of one portable fire extinguisher or other approved on-site fire extinguishing equipment such as sand, dirt, garden hose, or water truck shall be available for immediate utilization. The permit holder shall be liable for damage to trees or other property resulting from the open fire. The City of Martin cannot be held liable for any damages due to the issuance of the permit. The permit holder shall show this permit to any person who request to see it. Permitted only if no other material is present. Permitted if disposal cannot easily be performed by another approved method. Permitted where not otherwise prohibited by law, provided that only untreated wood is used a fuel and the fire is not left unattended until extinguished. Commercial Incinerators are permitted only if incinerator is correctly used and not overloaded to create spark and ember release, and fire is controlled inside the incinerator and abundance of flames showing from the top of the incinerator.